Hello, this is Taki and today I would like to write about my trip to Colombo, Sri Lanka from September 30th through October 2nd. 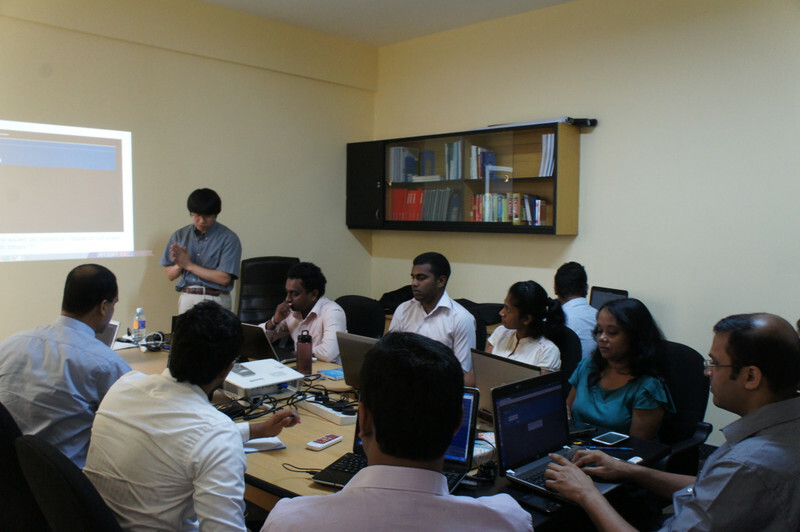 I went with Tetsuya to conduct TSUBAME trainings at Sri Lanka CERT|CC and TechCERT, and to give a presentation at Cyber Security Week 2014 - 7th Annual National Conference on Cyber Security. Unlike our previous TSUBAME trainings in Jakarta and Vientiane, this time the trainees were only from the respective organizations. The number of trainees for both sessions were relatively small, which allowed us to facilitate more discussions during the sessions. 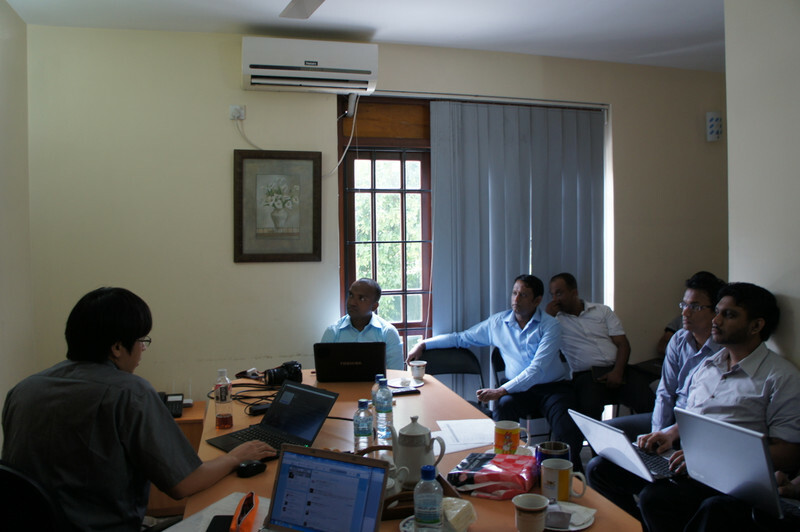 However, unlike the previous trainings we only had about a day of training for each, so focused mainly on the analysis of TSUBAME data, while incorporating how to access data through the portal, etc. It is our hope at JPCERT/CC that the trainings helped in enhancing the trainees’ data analysis skills. Discussions on how to collect data and how to analyze large amounts of data were very fruitful and gave us a lot to think about as we move forward as well. We hope to continue dialog with our colleagues in Sri Lanka about these topics. Also, Tetsuya and I attended 7th Annual National Conference on Cyber Security, which was a part of Cyber Security Week 2014 on October 1st. There were a little over 200 people in attendance for the event of which about 20 or so from outside of Sri Lanka. 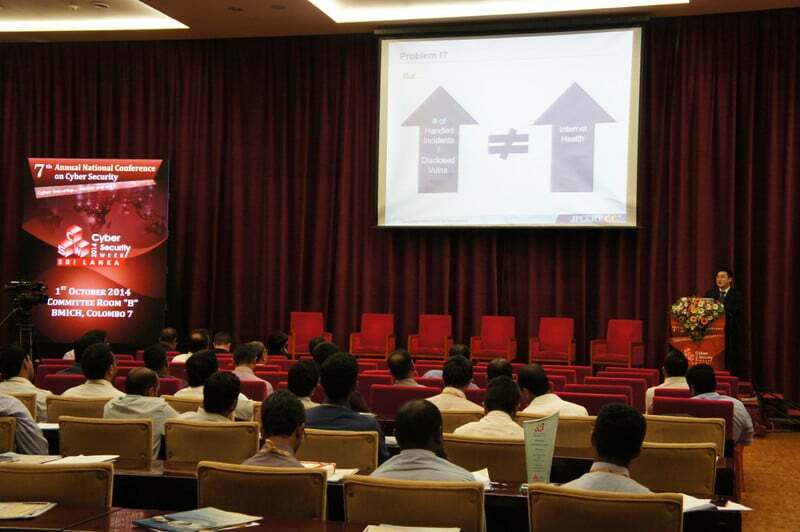 From what I gathered, most of the people in attendance were IT professionals, IT managers, CEOs, Lawyers etc from vendors and service providers in Sri Lanka. 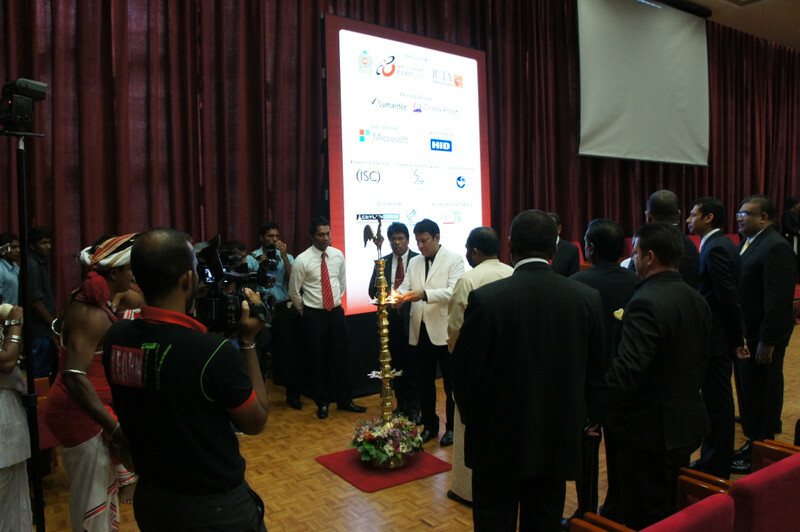 The conference started with a celebration with music and a ceremonial oil lamp lighting followed by the national anthem of Sri Lanka. The traditional oil lamp lighting ceremony was something I had never seen before. I also presented during the conference and spoke about JPCERT/CC activities focusing on activities where we collaborate globally, including the TSUBAME project, overseas CSIRT development, vulnerability handling among others. I had some people come up to me with some questions during the social event, held directly after the conference. Some of the questions included TSUBAME and network monitoring / data analysis and others related to vulnerabilities, but more on the disclosure side. All in all, my first trip to Colombo was very nice, but all too short. I do hope that I get to visit in the future and spend some time taking in the sites as well as the history of Sri Lanka. Lastly I would like to thank our colleagues from Sri Lanka CERT|CC and TechCERT for their wonderful hospitality. I can definitely say that I would not have enjoyed this trip as much as I did without them taking such good care of us. That is it for today. I hope to write again sometime soon.